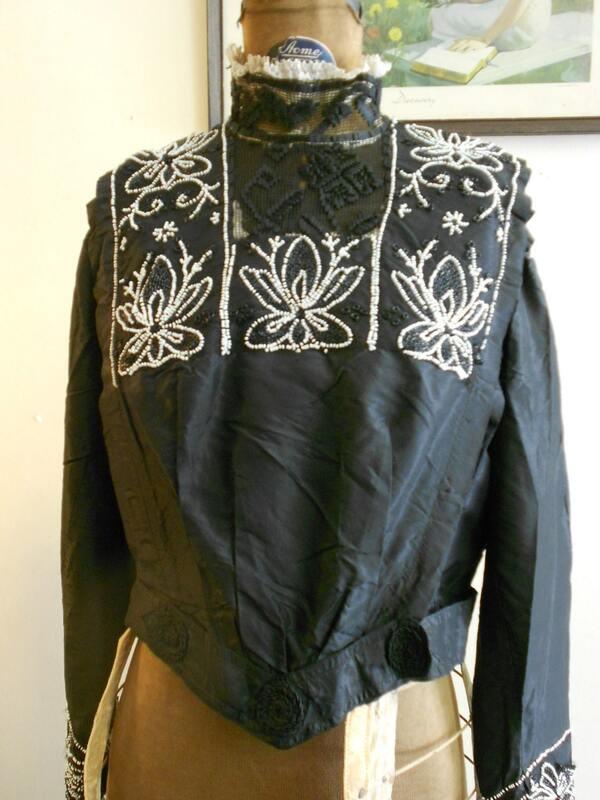 1910, 40 bust, black silk taffeta beaded top (called a waist). 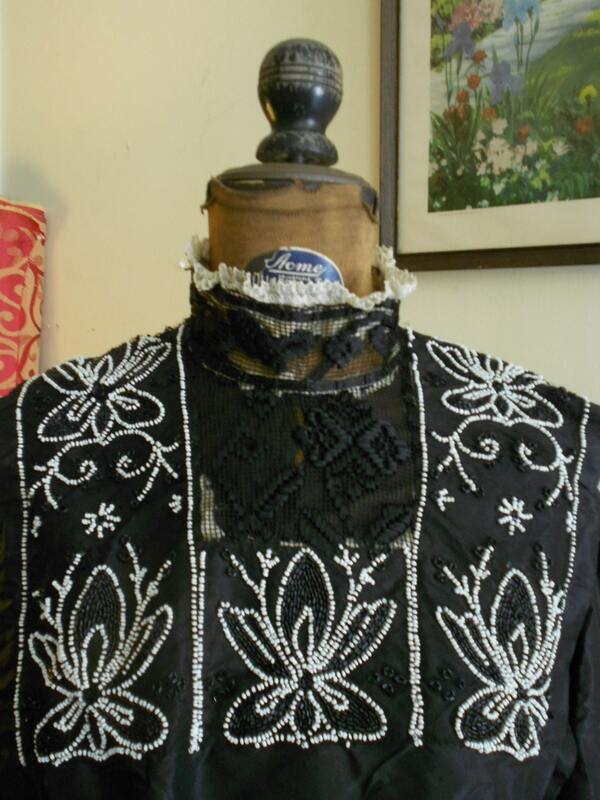 1910, 40" bust, black silk taffeta beaded top (called a waist). 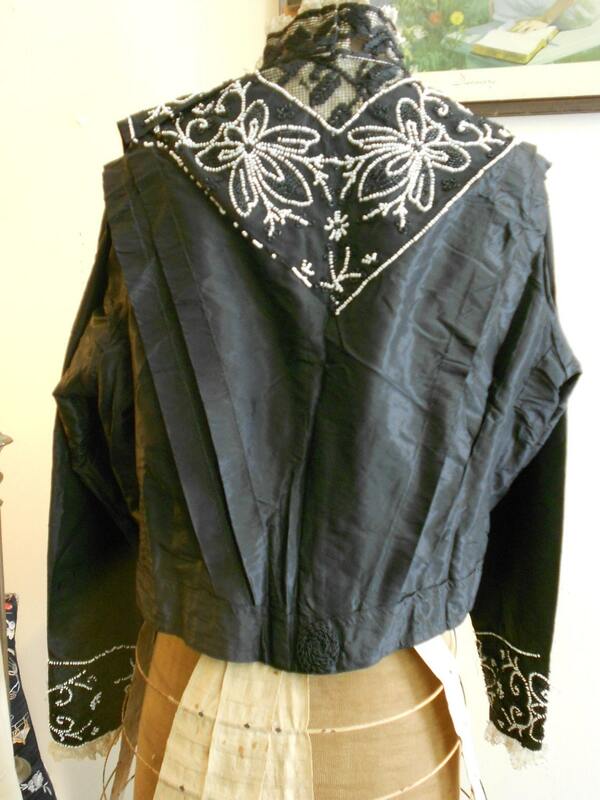 1910, 40" bust, black silk taffeta top (called a waist). Top has high wrap around collar with small colloid stays. Collar, yoke, and cuffs are made of black lace with narrow white lace frill. Bodice of top and cuffs, are adorned with white and black glass beads in an elaborate floral design. 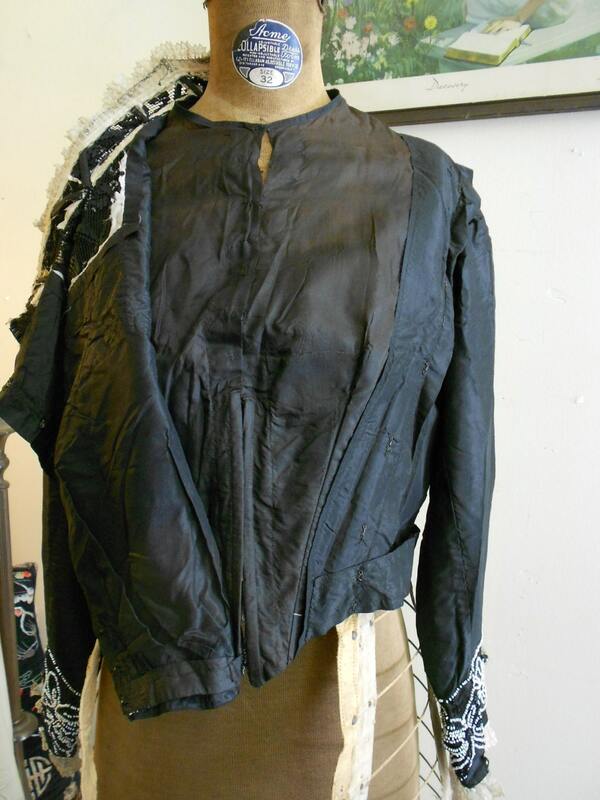 Top has an interior black silk attached bodice lined with stays and fastened in front with hooks and eyes. 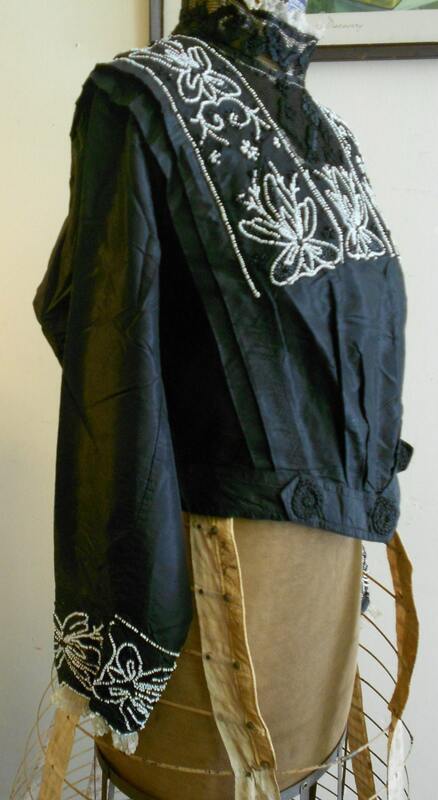 The over top of blouse, the part with the beading, fastens with hooks and eyes on the left side of top. Waist band in front is V shaped , trimmed with small round corded buttons. Yoke continues in back of blouse, with a V shaped pattern with floral motif.